Year after year, you visit every mall Santa in the city, sobbing pitifully in their laps about your one simple Christmas wish: hot new tracks featuring Trina. Well, last night Santa came through for you in a big way. 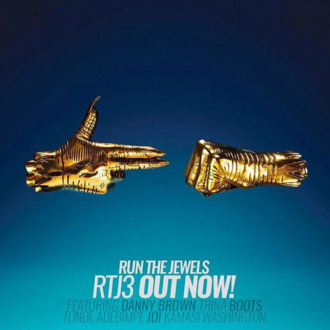 Not only did Run the Jewels release their highly anticipated third album RTJ3 over two weeks early, they’re gifting it to you free on their website. In addition to Killer Mike and El-P, the 14-track album features Danny Brown, BOOTS, Tunde Adebimpe, and your girl Trina. You can listen to the entire album below, right after checking out Run the Jewels’ festive seasons greetings. Overall, a much better gift for the Christ child than myrrh.